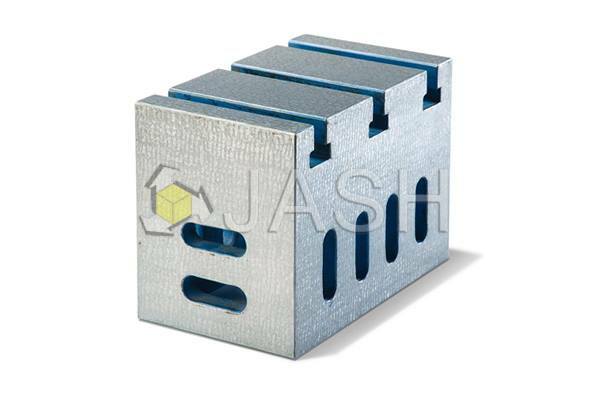 JASH Cast Iron Box Angle Plate serves as a versatile tool for layout machine set – ups, tooling and inspection. They can also be used as right angles and squares. A job can be fixed with one of its faces and rotated in five positions without the need for repositioning or disturbing accuracy. They can easily be made into special fixtures by providing tenons, pins or stops. Matched pairs can be used as Parallels and Height Blocks. Made generally as per IS: 6232. 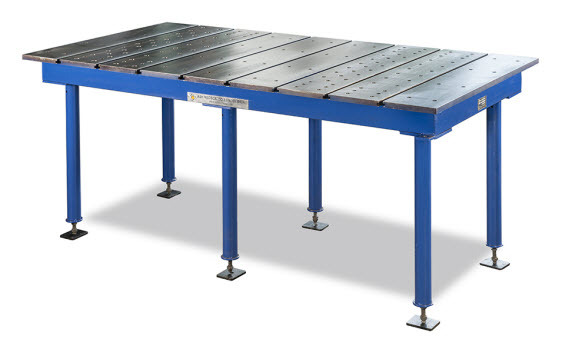 Offered in two grades of accuracies – Grades -1 & 2 in standard sizes as stated in table. Hand - scraped surface finish for Grade 1 accuracies. Hand scraped / ground finish for Grade 2 accuracies. Machined T-Slots on one face and cored as – cast slots on four opposite faces provided to facilitate clamping. Can be offered in matched pairs, upon request at extra cost. Precision Box Angle Plates to IS: 6985 having tolerances approximately half of those mentioned in table made upon request. Other sizes as per customer's specific requirement also offered, upon special request.